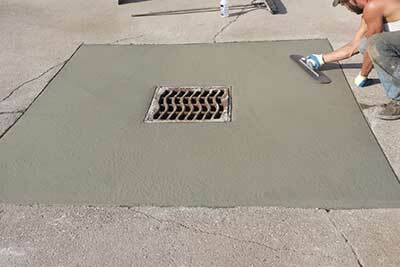 Houck Asphalt Maintenance Company specializes in catch basins and drain repair. When properly installed you can expect the drain replacement to last for many years after it's customized and adjusted. Our maintenance service also repairs cracks, seals, drain problems, and potholes. Our catch basin, storm drains, and drain repair services, is completed professionally and in a timely manner. Catch basins are mainly used to collect drainage runoff along with the storm drains. They are developed to work with various piping, and a lot of times catch basins are in need of repair in order to operate properly. Houck Asphalt Maintenance does professional catch basin and drain repair work and it is very important to hire a company like ours to get the job done correctly. Catch basin and drain repair jobs also requires that the debris is cleaned and removed, and the proper adjustments are repaired or replaced. Houck Asphalt Maintenance asphalt contractors will provide our customers with various professional options to complete the job assignment. When you hire a contractor to do catch basin and drain you will be happy to know that the job is worth the investment. If you don’t let the catch basin or drain repair problem go for too long and get the repair work done right away it will save you money in the long run. Our asphalt and concrete repair service provides repairs for residential, commercial, or industrial. When it comes to catch basins and drain repair there is a process, which takes place, where the structures are installed for catch basins and storm drains. The equipment that we use is high quality, which allows us to be able to finish the job from start to finish. We are able to assist you, for any job whether it's small or large and we always provide professional service that every customer will experience. Houck Concrete Maintenance is best known for our trustworthiness, honesty, and our many years of experience, which has given us a good reputation in our area. Our catch basins, storm drain, and drain repair is always done with special detail. 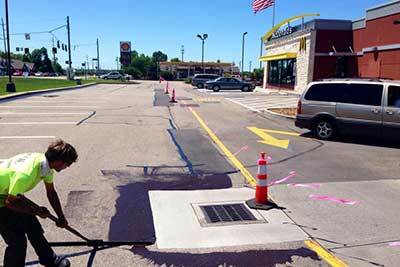 As an asphalt maintenance company that does catch basins and drain repairs, we also do all asphalt repair work. Our friendly staff can schedule a plan to supply maintenance, after we finish your project to make sure that the project sustains it's life and your catch basins will last. Houck Asphalt Maintenance works very hard to provide the best service to replace catch basins and drains. You will also get excellent service, for drain repair, storm drains, and a perfect catch basins service. Our company is always willing to provide our customers with affordable pricing. Our catch basins, storm drains, and drain repair products, are made out of quality materials that is made to last. Houck Asphalt Maintenance has been in operation since the 1980's helping residential, industrial, and commercial locations. 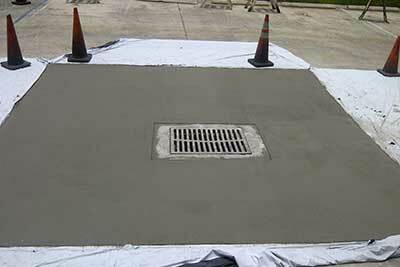 We provide our customers with excellent contractor service for catch basins and drain repair. The storm drain repair is quick and easy, and we use environmentally friendly products on all of our repair work. Houck Asphalt Maintenance is the best in the catch basin and storm drain repair industry! We are licensed and certified to provide professional service. Our company is worth the investment and we give your drain repair and catch basin problems a new and safe look.